Pennsylvania is one of America’s oldest and most fascinating states. It’s also, quite possibly, the creepiest. Many traumatic events, including tragic accidents and murders, have occurred in Pennsylvania. The state is also home to several abandoned asylums and prisons, and three bloody wars have been fought within its borders. Visitors to the state can find all sorts of paranormal activity, from the wacky and harmless to the extremely frightening. If you’re looking for a ghost or an out of the ordinary experience, you just might find one or more at the following 10 Pennsylvania locations. This hotel, which was originally built as Civil War General Lee’s headquarters in 1863, has had hundreds of reports of ghostly activity over the years. Both guests and employees have seen ghosts on the premises, and heard sounds including drum and fife playing, gunshots, cannon fire, and the footsteps of a spirit in the attic. But the creepiest thing about the hotel is what (or who?) you don’t see: doors open and close on their own, lights flicker on and off with no one touching them, and objects seem to move by themselves. One online reviewer of the hotel mentioned that her daughter’s shoe was flipped over and moved across her room in the middle of the night, when neither she nor anyone in her family had left the bed. 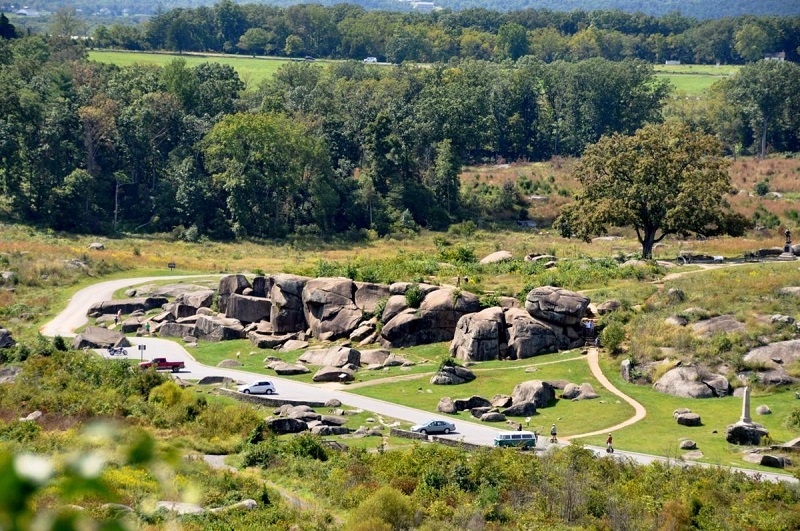 Visit haunted Gettysburg and stay here—if you’re brave enough! Betsy Ross is known for designing the first American flag, but a visit to her home in Philadelphia might offer more than just a history lesson. In fact, the Betsy Ross House is so famous for being haunted, that it was featured on the popular show ‘Ghost Hunters.’ This is something that the home’s former director could have told you, as the house frightened her so much that one night she climbed out a window and jumped onto a nearby flagpole. Among other occurrences, visitors have reported seeing the ghost of Betsy Ross crying in the basement, and have heard cries and moans from the gift shop next door—where a security guard was murdered in 1980. You can see this site, along with some other lesser-known haunts as part of the fascinating and frightening Philadelphia Cemetary and Urban History Tour. 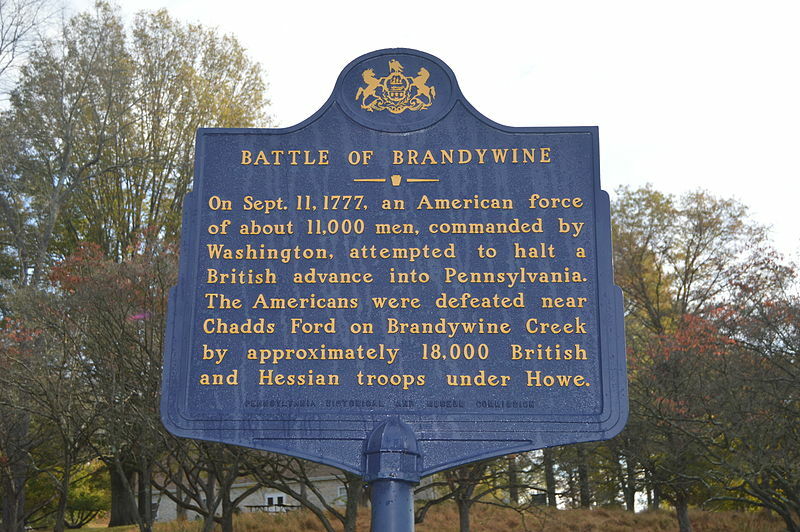 Its history as the site of a major Revolutionary War battle makes the Brandywine Valley one of the most haunted areas in Pennsylvania. The center of this haunted activity is the Brandywine Battlefield itself, where 2,000 men died on the bloodiest day of the Revolutionary War. Sounds of battles and apparitions of soldiers and horses have also been reported here. Because many of the farms, inns, and homes from the period still stand, stories of paranormal activity abound in the local towns of West Chester and Chadds Ford, where strange noises and occurrences are practically the norm in the buildings situated closest to the where the battle was held. Sightings of soldiers, both American and Hessian, have also been reported throughout the area—usually at night. Most historical places in Pennsylvania have been changed or remodeled, but Fort Mifflin, built in 1771 and located in Philadelphia, claims to be the “only Revolutionary War battlefield completely intact,” which is probably why some of the fort’s oldest residents can still be seen hanging around. Ghosts to look and listen for when you visit Fort Mifflin include: “The Screaming Woman”—thought to be a historical figure named Elizabeth Pratt whose screams can be heard from the Officer’s Quarters—where she’s thought to have hung herself, and William Howe, ‘The Faceless Man’ who’s been seen in and around the casements where prisoners were held. Visitors to the Fort have also reported being grabbed, pushed and held by unseen hands. The spooky site can be toured by day, or brave visitors can even spend the night there. For Mifflin is also included on the Philadelphia Pass if you’re interested in visiting this haunted attractions. Hotel Bethlehem is one of the biggest ghost-spotting destinations in Pennsylvania. The building, which was actually the town of Bethlehem’s first house before it was converted into a hotel, is home to at least 4 ghosts that are regularly spotted, all of which are real historical figures with ties to the hotel. These ghosts have been identified as May Yohe, an actor/singer who was born in the hotel who can still be heard singing in the lobby or spotted in the exercise room, Francis “Daddy” Thomas, who worked as a Bethlehem tour guide before he died in 1822, and Mr. and Mrs. Brong, the building’s original landlords. The most haunted room is room 932, where lamps flash, apparitions appear in the mirror, guests have opened the bathroom door to find a completely different room on the other side, and a male ghost has woken guests to ask them why they were in his room. 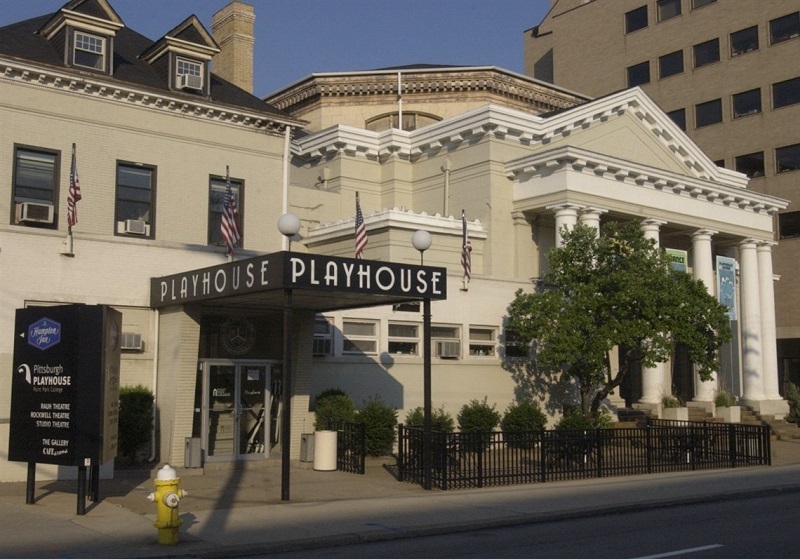 Although many theaters claim to be haunted, the Pittsburgh Playhouse seems to actually house a legitimate group of lively yet creepy ghosts. At least three ghosts have been identified in the theater: Weeping Eleanor, whose cries can be heard from an abandoned dressing room in the theater, Gorgeous George, who likes to surprise visitors by tapping them on the shoulder and terrifying them with his decomposing face, and the ghost of John Johns, an actor who is thought to have died in the theatre in the 30’s. Throughout its history, parts of the building have been used as a Synagogue, a wedding reception hall, a bar and even a brothel, giving it a unique and diverse history that’s common with haunted spots. As the site of one of the bloodiest battles in history, where nearly 8,000 Union and Confederate soldiers were killed over a 3-day period during the civil war, it’s no surprise that the Gettysburg Battlefield often makes lists of the most haunted places in the world. Paranormal sightings and experiences at the site are regular and numerous, and include stories of visitors seeing and speaking to Civil War Soldiers—who then disappear into thin air. Visitors have also heard the sounds of the battle on the grounds, including echoes of gun-shots and canon fire, as well as the screams and moans of the dying and injured. Interestingly, Gettysburg is thought to have been haunted by a very famous ghost before the famous battle even took place, as hundreds of Union soldiers on their way to Gettysburg reported that the ghost of George Washington appeared in front of them and led the way. 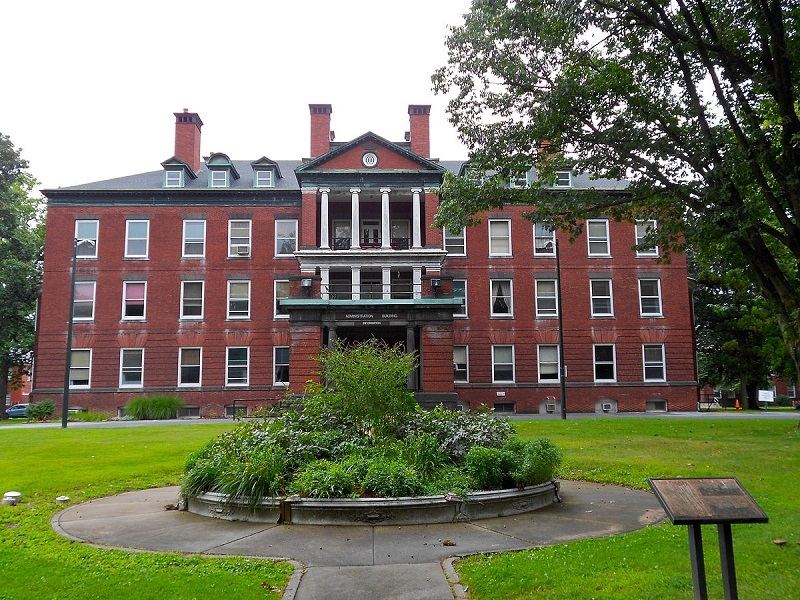 Originally called the “Pennsylvania State Lunatic Hospital,” Harrisburg Hospital was established 1851 as a place to care for the mentally ill. This enormous institution continued operating as a psychiatric hospital until it closed in 2006. Since the hospital’s closing, visitors, staff, and maintenance crews have reported hearing noises, screams, and footsteps, and seeing shadows and apparitions, mostly in what used to be the morgue, the basement, and the tunnels underneath the building. This relatively new haunt is beginning to get more attention, as it was recently featured on the Everyday Paranormal and Ghost Lab television show. 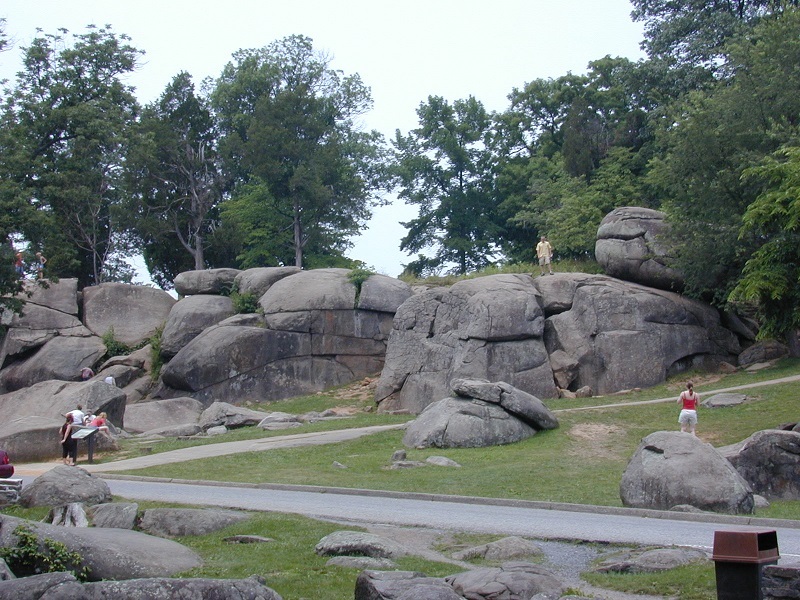 A section of the Gettysburg Battlefield that saw heavy fighting on the second day of the Battle, dozens of ghostly and paranormal experiences have been reported here. As with the main battlefield, echoes of drum rolls and gunshots have been heard in the area. Visitors to Devil’s Den have also reported their cameras malfunctioning and being knocked from their hands by an unseen presence. Furthermore, many people claim to have seen, spoken to, and even taken pictures with a friendly soldier, who eventually vanishes and can’t be seen in photographs. Other visitors have reported seeing an apparition of a barefoot man with a floppy hat, who tells them “what you’re looking for is over there,” and then disappears. The history of this Philadelphia penitentiary makes it one of the most terrifying places to visit in the US. 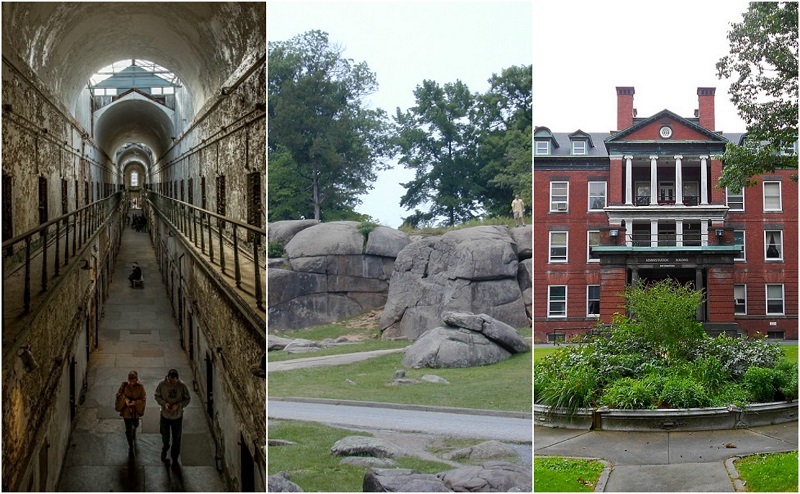 The nation’s first penitentiary, it was designed with the intention of forcing prisoners to spend time in silent, solitary reflection on their crimes; no interaction with others was permitted. Prisoners were also subjected to physical and psychological torture. These methods included being strapped tightly to the ‘Mad Chair’—where they would sit in stillness for days without food or water; the ‘Iron Gag,’ which was clamped to the tongue and would cause profuse bleeding if the inmate tried to speak or move his mouth and ‘The Hole’—a dark pit in which inmates could be kept for weeks at a time. The conditions led to mental illness among the inmates, some of whom are thought to still haunt the space. Visitors have regularly heard footsteps, strange noises, the screams and wails of prisoners, and experienced the sensation of being grabbed or followed within the prison. The prison now houses a museum and a seasonal haunted house—one of the most frightening in the country. If you’re looking for a fright and a little history on the side, you simply can’t miss the Haunted Philadelphia Ghost Walk. Learn why Edgar Allan Poe was so inspired by the spooky surroundings and discover the secrets of the only successful escapee of Eastern State Penitentiary. Then, get down to the nitty-gritty and find out about the famous Philadelphia hauntings and the Benjamin Franklin dancing statue. This ghost walk lasts for approximately 75 minutes and begins in Chestnut Street. It only runs between April and November so be sure to check availability to avoid disappointment. Like living life on the edge? The Philadelphia Prohibition Pub Crawl gives you an insight into the history of people just like you. Back when alcoholic drinking was banned, gangster activity thrived, and pubs went undercover to provide for the thirsty public. Drink with old and new friends alike as you learn more about the era and make new memories. With drinking games to keep the ball rolling, you’ll leave with a new set of friends and a wealth of knowledge about the prohibition. The tour lasts for around three hours, starting at 5pm on Saturday evenings. You will depart from the Independence Visitor Centre. This is an adult only experience – it is designed specifically for those over the age of eighteen. On this tour, you will learn not only of ghost stories and hauntings, but also very real tales of pirates, torture and slaughters. You will see plenty of interesting sights in the city along the way, from the Library of Congress to the darker sides of the city. This tour will last around 105 minutes, or just under two hours. It only takes place at night, so ensure to wrap up warm and dive into this unique adult tour. Mix history with a pint or two on this haunted pub tour. 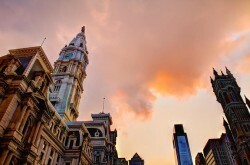 Before you hit up the city’s most haunted public houses, you will learn a little about the scary side of Philadelphia’s history. Marvel at the graves of the Founding Fathers and visit the places where suspected witches were tried and killed. Each guide is well educated on their subject, and they will be able to answer any questions you might have when you visit the pubs. For a social, educational experience, book a place on the Haunted Pub Crawl today. Meet at the Independence Visitor Centre to begin the tour. Set aside at least three hours to complete the tour, plus time at the end for extending the social experience! 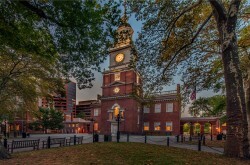 Philadelphia’s dark history is opened up to you on this tour. Visit some of the creepiest sites in Philly, from the Founding Founder’s graves to the Betsy Ross House. During the walk, you will learn stories about serial killers that the city couldn’t quite bury. Learn of the creepy Corpse Collector and the Frankfort Slasher, both infamous for their crimes in the city. The tour leaders are all professors and have a wealth of knowledge to provide the answers to your questions. Allow two and a half hours to complete this tour. To join on to this tour, meet at the Independence Visitor Centre. Questions about haunted Pennsylvania? Have you ever visited these sites? Let us know in the comments! While Pennsyilvania might not ring as many bells as some other cities, it is a wonderful place with a lot of history attached to it. I was there for a short period of time and didnt get the chance to visit some of the attractions listed above- but I can assure you, if you are an history enthusiast or you enjoy a good scary story then Pennsylvania is definitely the place for you. Devil’s Den is a must see!